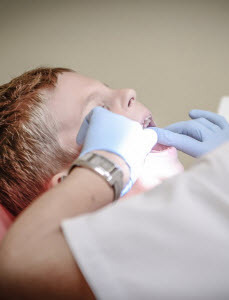 Many concerns come with sedation dentistry. There are lot of questions that have been raised about how safe sedation and anesthesia are in pediatric dentistry and there are even reports that complications have led to deaths in rare cases. It’s reassuring to know that when done by a qualified, experienced and highly trained dentist, surgeon or anesthesiologist, sedation dentistry is extremely safe. For children that are anxious or have special needs, sedation dentistry is a great way to make sure they get the dental care they need. When anxiety takes over, children will become fearful and are likely to resist. As they grow older it will get worse and they might start skipping dental visits all together. There are a few options to consider with sedation. The one the dentist will recommend will depend on the procedure, the length of time it will take and your child’s needs. 1. Local anesthesia– This is the simplest option and involves the injection of numbing medication around the area that will be treated. Local anesthesia works to block the nerve in the area that transmit pain. Numbness will be felt in the area to be treated. This is almost always used with another form of anesthesia to reduce the amount of anesthetic needed to make the patient comfortable. 2. Nitrous Oxide– When patients are anxious, nitrous oxide will be used along with local anesthetic. It is also known as ‘laughing gas’. Nitrous oxide is very effective in reducing anxiety in patients that are cooperative, but may not work in patients that cannot sit still or those who are scared of the dentist. Patients will remember most of the procedure. It is not used as a sedative but just to reduce anxiety levels. 3. Oral Sedation– Oral sedation is swallowed and will be given in syrup or pill form. The effect will cause the patients to relax for the dental procedure. There are some problems with oral sedation as it can take 30 minutes or more to work and can last a long time. Many patients don’t feel completely awake for 2 to 6 hours afterwards. Doses cannot be titrated either, which means the patient may not be sedated correctly for the procedure and if it wears off too early, the patient will feel pain. 4. IV Sedation– To ease treatment, an oral and maxillofacial surgeon or pediatric anesthesiologist will administer measured doses of anti-anxiety drugs. These doses are given through an IV line and are very carefully measured and adjusted as needed for each patient. The doses can also be titrated to get the exact sedation needed. The child will have no memory of the procedure, so future appointments won’t be scary. 5. General Anesthesia– If a child is unable to cooperate during the procedure for any reason, then general anesthesia may be necessary. There is a risk with general anesthesia, but it’s very small. All patients will need to be evaluated and a medical exam along with blood work may be needed. 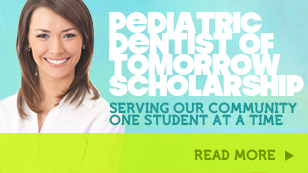 There are ways to make dental procedures easier and more enjoyable for your child. Smile Reef has the training and experience needed to figure out the best option for your child so going to the dentist isn’t so scary. Call our office today.